"A valuable addition to any horse owner's collection. 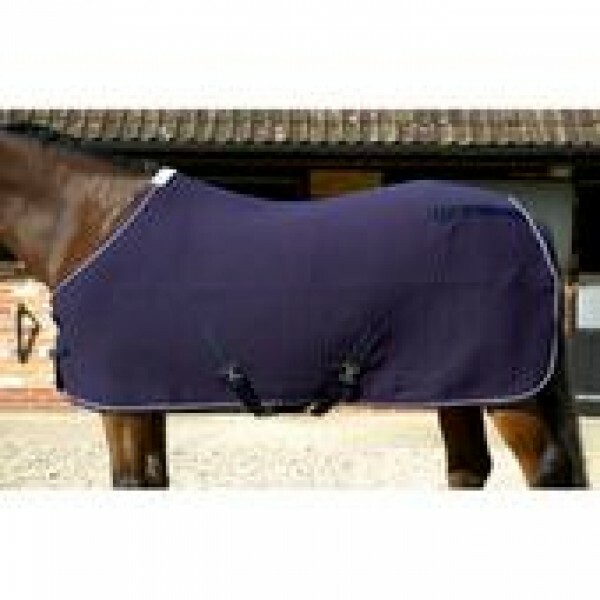 Smart enough for shows, perfectly suited for travelling, or just use as a cosy stable rug. Matching neck cover is available, which attaches with neat hook and loop tabs and a single buckle. This ensures a snug fit which essentially aids with the wicking process. The rug features twin breast buckles and cross over surcingles."